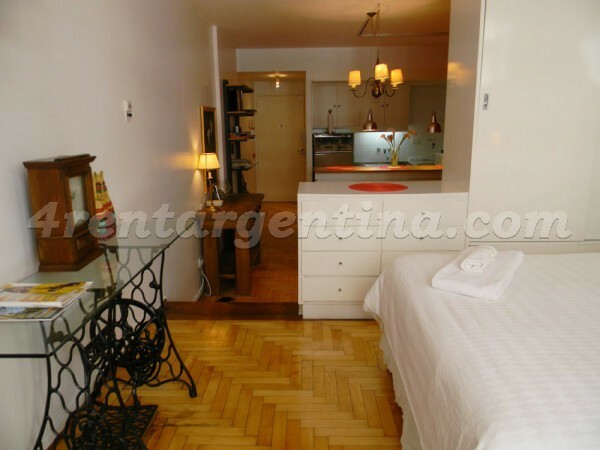 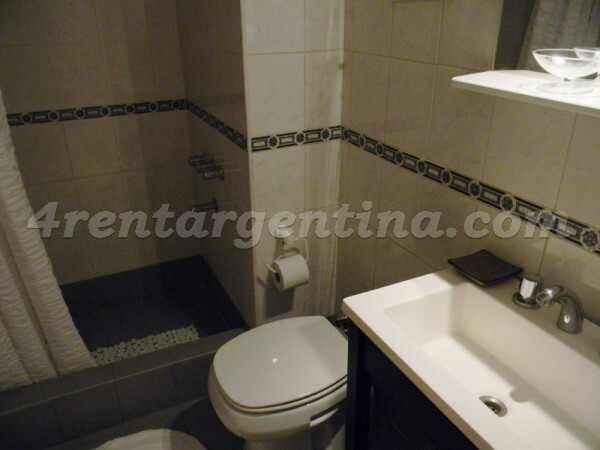 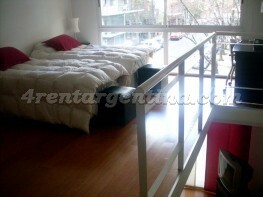 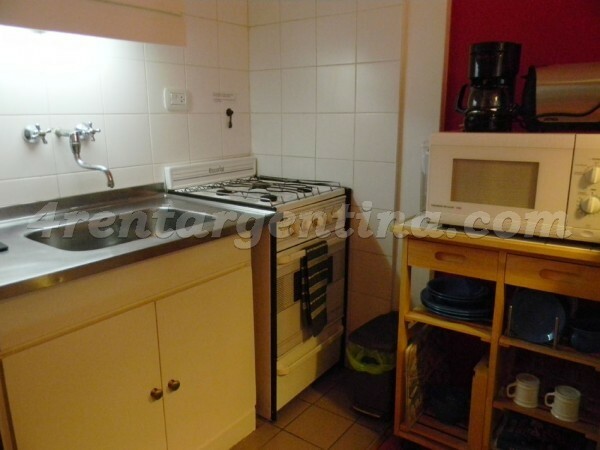 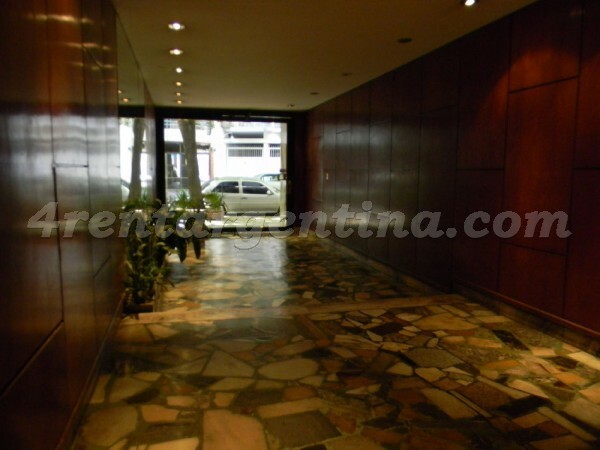 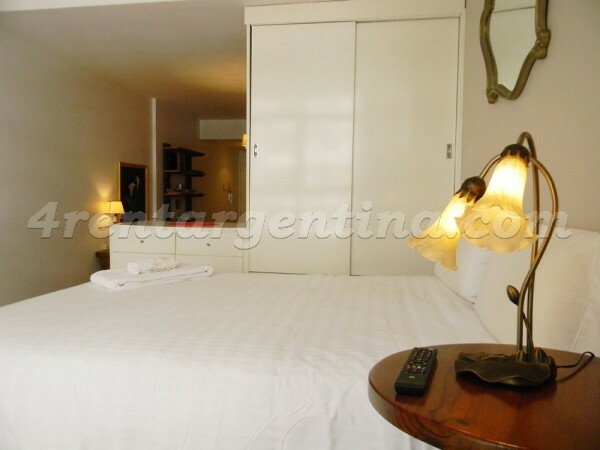 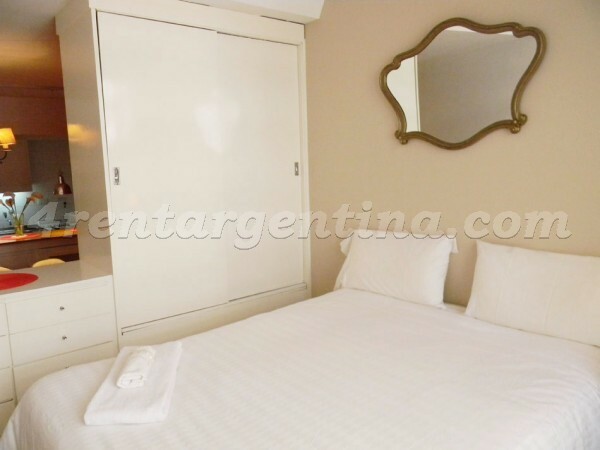 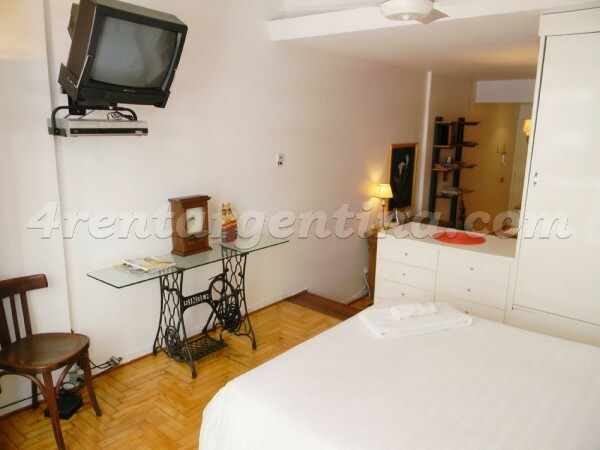 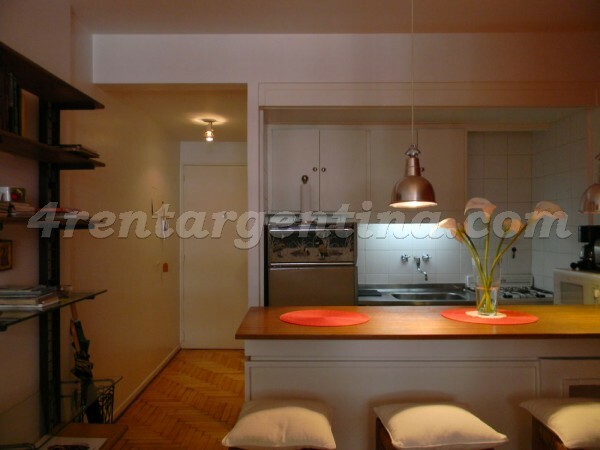 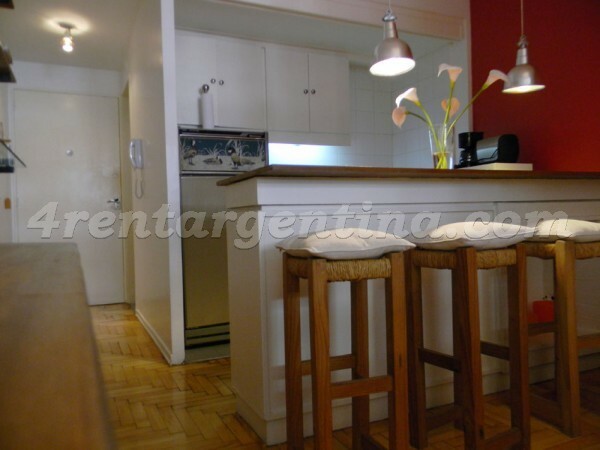 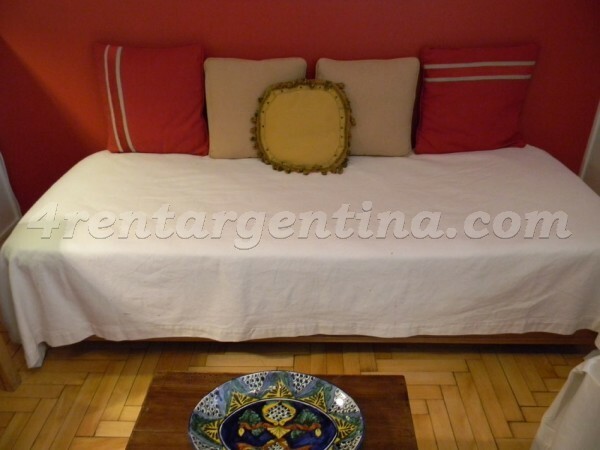 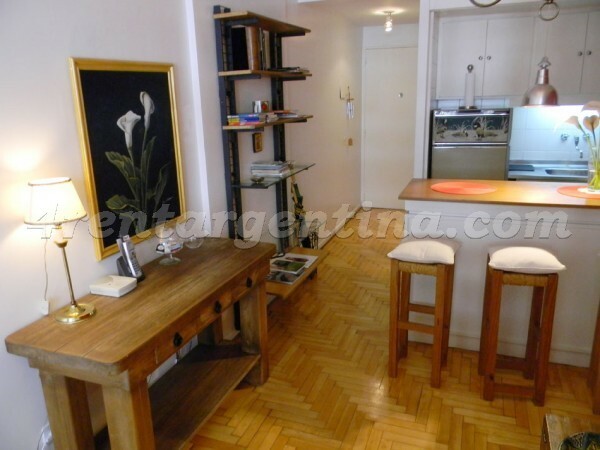 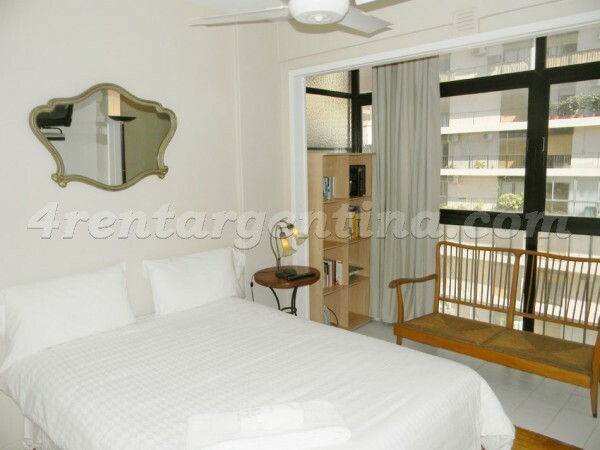 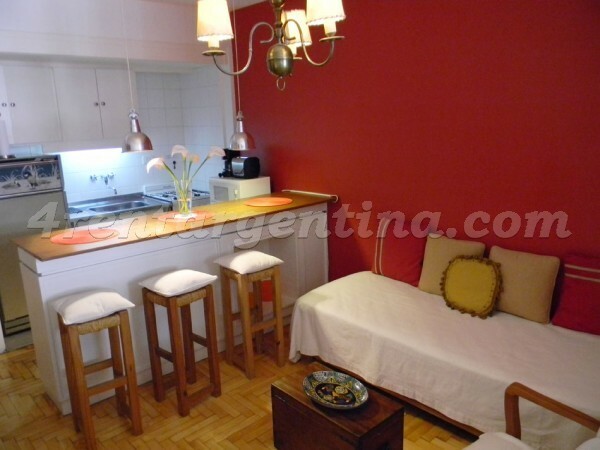 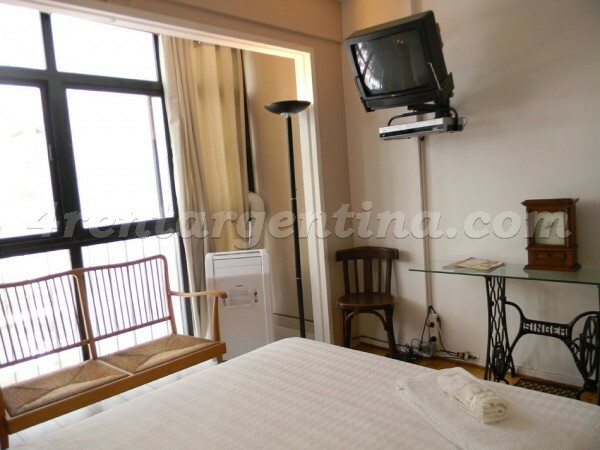 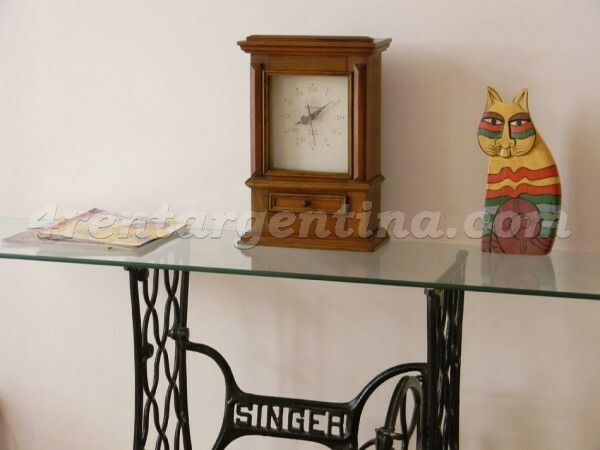 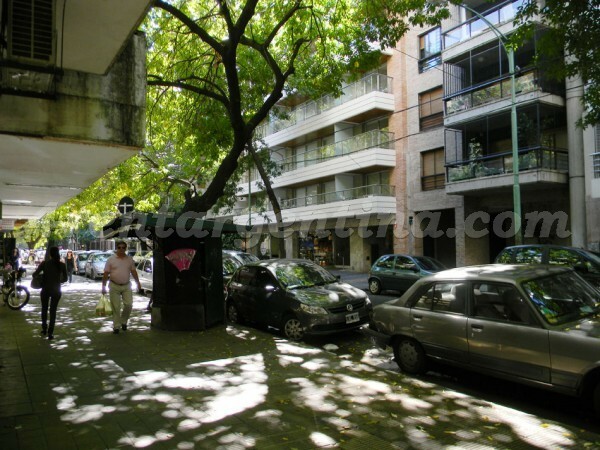 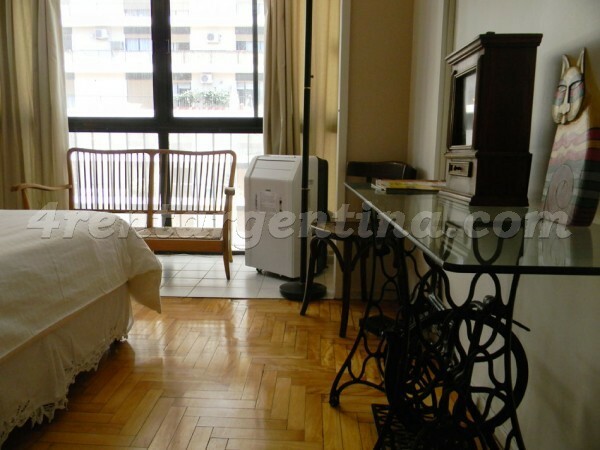 Beautiful furnished apartment for temporary rent in Argentina, located in Las Cañitas, one block away from Del Libertador Avenue, in an area with great nightlife, surrounded by bars and restaurants. 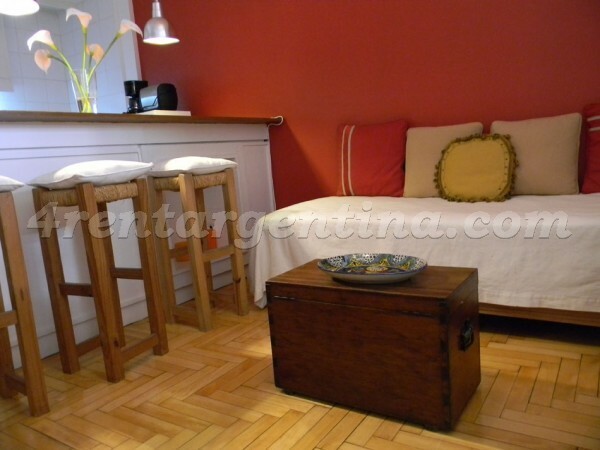 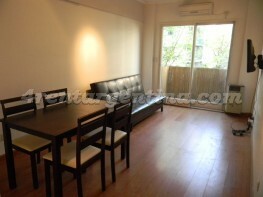 This beautiful studio apartment is ideal for three people, is modernly decorated and features wooden floors. 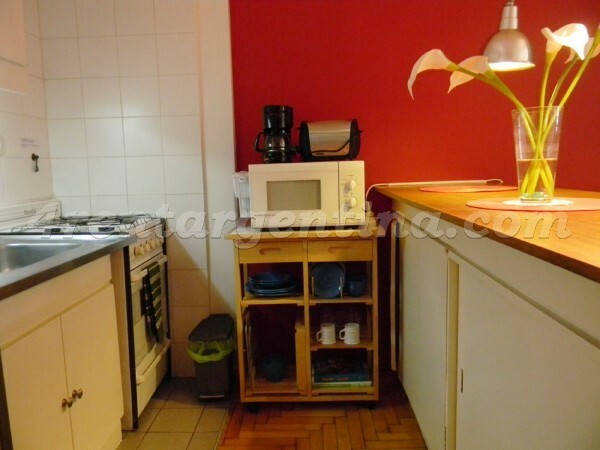 It has a double bed, a living with a single sofa bed, a fully-equipped integrated kitchen with oven and breakfast bar, and a bathroom with shower.